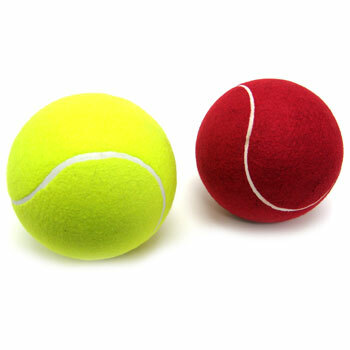 8 inch tennis balls in yellow or red. Sold by the each. $3.80 each for 36 or more. $3.30 each for 72 or more.